Coffee shop. Warsaw, Poland. Photography by Jacek Dylag. From the book Your Creative Haven by Donald M. Rattner (2019). Maybe it was inevitable, but after years of touting the virtues of the open workspace, people who plan and use them appear to be having second thoughts about its effectiveness. Among the biggest drivers behind the mounting backlash are complaints about noise, especially in the form of overheard conversations, ringing phones, and clattering machines. Given this reaction, it’s not surprising to see a book like Susan Cain’s Quiet: The Power of Introverts in a World That Can’t Stop Talking rise to the status of bestseller, or to learn that Cain and giant office furniture supplier Steelcase have teamed up to develop new prototypes for mitigating sound in the workplace. But before you jump on the “silence is golden” bandwagon, it might be worth taking a step back to assess the problem with a cooler, more objective eye, especially if you spend some part of your day in creative problem solving. The reason? A modicum of noise has been found to boost idea generation,rather than interfere with it. I’ll venture to guess that’s not what you imagined. Nor did I, until I came across some research that explained how noise can be transformed from an annoyance to a creativity catalyst. Noises Off or Noises On? Credit a team of researchers drawn from several different universities for daring to challenge status quo thinking. In 2012, the trio published a paper documenting a series of lab experiments they ran to study the effect of noise on creative task performance. Their methods were pretty straightforward: Subjects performed various exercises designed to measure ideational fluency and open-mindedness while a soundtrack played in the background. The track played at either a low (50 decibels), middle (70db), or high volume (85db). A fourth group performed the same exercises without any accompanying soundtrack to establish a baseline from which to measure the collected results. Contrary to expectation, the people in the quiet sessions did not achieve the top scores. That honor went to subjects exposed to midlevel noise (70db). As a point of reference, 70db is the rough equivalent of the din at a bustling restaurant or coffee shop. It also approximates the loudness of a running shower, which is probably one reason why we so often get good ideas while under the spigot. It’s evident from the data that the right type and level of noise can literally change the way our creative minds work. But how? And why? And how do we harness this information to boost our creative output in real-world settings? A model of creative thinking first developed in the 1950s might be the most effective vehicle for providing answers to these questions. The model was the brainchild of the psychologist J.P. Guilford, an important figure in the history of modern creativity studies. Its basic premise is that creative thinking comprises two styles of cognitive processing: divergent and convergent. Divergent thinking corresponds to what we variously call right-brain or generative thinking. It is generally abstract, big-picture, intuitive, nonlinear, and inward-focused in nature. It induces us to see things as they could be, rather than as they are. Convergent thinking is nearly the mirror opposite. Unlike divergent thinking, it is rational, objective, sequential, narrowly focused, highly detailed, and concrete in character. It looks outward rather than inward for answers, such as when we apply the external laws of mathematics to calculate the sum of two plus two, instead of drawing from our imagination. For Guilford, the creative process is neither one nor the other alone, but both styles working in tandem, and nominally in sequence. Definition of the problem to be solved: (?). A period of divergent thinking, during which you open up your mind to as many ideas for potential solutions as time, budget, energy, or creative capability allow. Brainstorming is a technique for inducing divergent thinking. A point of inflection where divergency ceases and convergency begins. A period of convergent thinking, during which you narrow down your options to zero in on a potential solution, which is then tested and validated. Realization of a final solution: (!). In real life, of course, the creative process rarely travels in an uninterrupted straight-line trajectory from (?) to (!). More often than not, you find yourself going backwards one or more steps before getting to your goal — if you reach it at all. But as a conceptual model, Guilford’s paradigm gives a pretty accurate picture of how our minds work in the course of working out feasible solutions to creative problems. Living area and deck. Architecture and interior design by Mark Dziewulski Architect. Photography by Nico Marques. From the book Your Creative Haven by Donald M. Rattner (2019). So where does this model fit into the discussion of noise? Well, think about the last time you were unsuccessful in coming up with a healthy supply of good ideas for solving a problem. There’s a good chance your shortcoming arose from having jumped too far ahead too early in the process. That is, you might have skipped over the divergent phase and begun applying convergent thinking techniques in searching for an answer before exploring a sufficiently broad spectrum of alternatives. Don’t feel too bad, though; in some ways, we’ve been trained to make this mistake since grade school, when we began getting rewarded for providing a single right answer to test questions as quickly as possible. But here’s where noise helps: At 70db, it’s just loud enough to keep us from concentrating so intensely on the problem that we slip into a predominantly convergent mindset, but the sound isn’t so overwhelming as to completely distract us from our task. Nor is it too faint to have much impact. In other words, moderate audio inputs help keep our idea gateway open during the generative phase of creative problem solving so as to maximize the opportunities for reaching a final solution in the convergent phase. Once you’ve moved into the validation stage, however, you will probably do best to reduce or eliminate noise in order to maintain concentration and focus. Phone booth and photography by Framery. One of the important discoveries the researchers made in the 2012 study is that only specific sorts of sound improve creative fluency. Abstract sounds, like white or pink noise, don’t. Nor do intermittent noises, or one-sided phone conversations, which divert mental energy by coaxing us to make sense out of the unheard portion of the dialogue. What does work, according to the researchers, is a cacophony of real-life voices and other recognizable sounds found in everyday experience — like the chatter of a busy restaurant or the sound of rushing water — provided they fall in the prescribed range of 70db. Courtyard. La Quinta, California. Architecture by Frank Stolz for South Coast Architects. Photography by Eric Figge. From the book Your Creative Haven by Donald M. Rattner (2019). Of course, it’s not always assured that venues outside your direct control or environments with shifting occupancies will meet these specifications. But depending on where you are, there are steps you can take to bring them as close as possible to the desired state. In large open offices, for example, try muffling excessive noise by setting up movable screens constructed with sound attenuating materials. Dedicate certain areas to idea harvesting, others for heads-down, convergent work (noise-canceling headphones can create a de facto division of space in smaller settings). Provide enclosed phone booths for taking and making calls. Locate noisy machines away from workstations and creative spaces. Hire an acoustics expert. Home-based creatives often have the opposite problem: not enough noise. Hopping into the shower offers one possible remedy, but you can’t spend all day in there. Consider instead filling your space with the sounds of an archetypal coffee shop, rainfall, or ocean waves by means of noise-producing apps. Living room and fountain details. Bellevue, Washington. Architecture by David Coleman Architecture. Interior design by Elizabeth Stretch for Stretch Design. Photography by Paul Warchol. From the book Your Creative Haven by Donald M. Rattner (2019). If that doesn’t strike your fancy, there’s always the ultimate go-to source for sonic inspiration: music. But that topic is so substantive it deserves a future article of its own. Keep in mind that the data showing the positive effects of noise on idea formation was derived from and is applicable to a “standard” human population — in other words, regular people like you and me. It doesn’t necessarily pertain to everyone. In fact, some of the most prominent creatives in history were completely averse to noise. Marcel Proust, recluse extraordinaire. Photography via Wikimedia Commons. Frank Kafka apparently had the same dislike of distraction. He once said, “I need solitude for my writing; not ‘like a hermit’ — that wouldn’t be enough — but like a dead man.” I guess he finally got his wish. For these two, 70 decibels of sound was 70 decibels too many. Yet there is scientific evidence that creative people afflicted by an extreme sensitivity to external stimuli might owe their powers of invention in part to their very affliction. According to one study, it could be the lack of a mechanism for filtering out irrelevant sensory inputs — a mechanism the rest of us use to escape cognitive overload as we navigate our signal-rich world—that leads to a more open and absorptive mind that’s less prone to shutting out new ideas or finding undiscovered connections among disparate things. Studio. Girona, Spain. 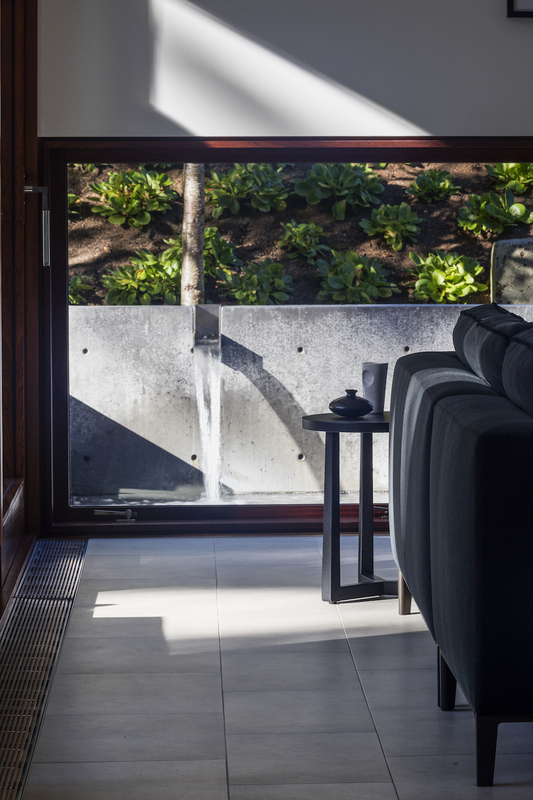 Architecture and landscape design by Co Govers and Joana Ramalhete for Zest Architecture. Photography by Jesús Granada. From the book Your Creative Haven by Donald M. Rattner (2019). Contrary to popular belief, total quiet is neither necessary nor ideal for effective idea generation among a large segment of the population. Under the right circumstances, a steady stream of familiar sounds at a volume of around 70db can lead to improved ideation and creative problem solving. Of course, sound is just one of many factors that can be manipulated to optimize creative environments. Others include light and lighting and the perception of space, both of which I’ve explored as part of this series. Look for more pieces on the subject in the future. In the meantime, bring in ’da noise!